Many people have been asking of opinions on how to use CBD oil and the many uses of CBD oil so we wanted to give you some thoughts and help you understand the important benefits of CBD oil has for the human body. Now there is so many many ways to use CBD oil that you might think its snake oil, you might think its not true or to good to be true and it kind of seems like it is but God is an amazing designer and he gave us amazing plants and unfortunately some other entities have done an amazing job with their propaganda in making us think that CBD is bad for us or un healthy for us. Hopefully this article will help you to understand and dis-spell some of the myths and give you a better idea of how to use CBD oil and allow you to discover the many uses of CBD oil. What is CBD or what is Cannabidiol? What is CBD oil and how to use CBD oil? 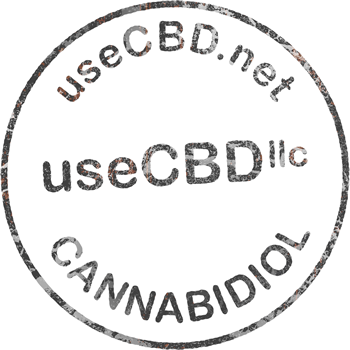 CBD is Cannabidiol and CBD is found in hemp and CBD is also found in marijuana. We are grateful of the many gifts God gave us in terms of our health and healing. Marijuanna can be harmful to us as it alters the mind and anything that alters the mind may not be positive for us or may have a negative effect or positive effect on our consciousness. Can CBD oil come from Hemp and Marijuana? CBD oil can come from both hemp and marijuana. CBD produced from hemp is different so we will try to give you some basic understanding. CBD oil comes from cannabis. Cannabis can be marijuana and cannabis can be hemp. They are two different plants that are from the same family but they are different plants. The difference is marijuana is very high in THC and that is what makes people high. 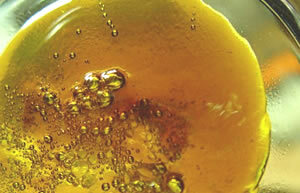 Marijuanna is often lower in CBD and higher in THC however there are many marijuana strains that are high in CBD and THC. Is CBD non psycho active? CBD is non psycho active as hemp is very high in CBD and is very low in THC. THC in hemp is almost nonexistent. So in other words CBD in hemp will promote health in many aspects and not get you high. It is really important to understand that CBD has incredible healing powers and will not get you high like marijuana will. With CBD from hemp there is no psycho active effect. It’s safe, it’s legal. Many people worry about the legality of hemp. Hemp is legal. Just take a look at the Farm Bill Act of 2014. Hemp is a big industry. People make many different things from hemp. They make hemp shirts and people eat hemp seeds and there is all kinds of hemp related products. CBD coming from hemp is perfectly healthy. When you look at the CBD product testing you will notice that THC from hemp does not show up. So you are getting the healthy benefits from CBD that comes from hemp without all of the issues that come from marijuana. That is why many people prefer CBD oil from hemp over CBD oil from marijuana. Is there Negative side effects to CBD? The great thing about CBD oil from hemp is that there are no negative side effects to CBD. There is no known level of toxicity. You can safely take it and you can take larger doses if you require to. It is not a drug it is a food. It’s a plant. Just as you can take hemp seeds you can take hemp CBD in a bottle and it’s like a food and has value. CBD is not going to cause negative side effects like many drugs do. It is found that CBD does not create addiction or withdrawals that are experienced with pain medications, opiate and that can also come with marijuana. So there is none of those issues with hemp based CBD. The endocannabinoid system is the system that regulates the other systems in the body. The endocannabinoid system was discovered in the 1990’s. We do not often here about this phenomenal discovery. There is much research being done on the endocannabinoid system today. We encourage you to do your own research on the discovery of the endocannabinoid system as it is fascinating. How does CBD work with the body’s endocannabinoid system? With so much clinical research being done we are finding out that the endocannabinoid system controls the nerves and nervous system in our body. Which is incredibly important to the struggles and health concerns and troubles that so many people are having today? So we desire to put things in the body that feed our endocannabinoid system in the most positive ways. Research shows that there is over 100 known cannabinoids in the body and hemp alone has over 6o of them. So hemp is the largest known source of these cannabinoids. CBD or Cannabidiol is one of the many cannabinoid in the hemp plant and can be used to feed the systems of the body and regulate how the body functions. CBD can also carry many trace cannabinoids with it making it extremely valuable to stimulate your endocannabinoid system. How to use CBD oil and how does the endocannabinoid system work? The endocannabinoid system work’s to regulate the nervous system, hormones, the immune system and many of the systems that make your body work. Think of it as the way your body communicates with itself. Why is hemp CBD oil so powerful and beneficial? One of the many reasons why hemp CBD oil is so powerful and beneficial is it works to supplement and stimulate your body’s own endocannabinoid system in a very natural way. Can CBD be found in other things? There is other foods that have CBD in it such as chocolate that makes you wonder why everybody loves so much. Things like Truffles which is like a mushroom. Echinacea and a lot of herbs will have CBD in them. However hemp is the highest known source of CBD. As clinical research continues there is many known benefits of CBD oil being discovered all of the time. It is amazing because if you think of the many things people struggle with the most. Many people go to the doctor for? What do people go to natural health practitioners for? What do people go to the health food store for? It often is the same things over and over again. When you take the time to think about it these are some of the most common things that are causing so many people so many problems with their health today. CBD oil is beneficial in so many ways and helps with all of these issues. That is why CBD derived from hemp is such an exploding area of research. CBD oil is extremely popular as it helps so many people with so many things in such a very simple way. CBD oil benefits for pain? The way CBD oil helps reduce pain is that CBD helps regulate the nervous system. As you know if you are experiencing any kind of major pain or even if you are on any major drugs or pain management or are taking over the counter pain medications. CBD may be able to assist you in getting off of these as there are many CBD oil benefits for pain. This alone is amazing as many pain medications can be very toxic and have negative side effects and can possibly damage the liver and cause other problems in the body. CBD oil benefits anxiety and can be very healing and very nutritional to the body. The universe provides an alternative that can be very positive without the harmful side effects and toxic side effects experienced with other medications. Research has shown that Hemp CBD Oil can be very good for Anxiety. The reason for this is that it calms and relaxes the body. So CBD oil can be beneficial to stress, anxiety, worry, fear and panic attacks. CBD can be helpful for people with PTSD and have been incredibly helpful for that. Many people has discovered CBD oil benefits anxiety and has been very helpful for them in these ways. People who have been through many traumatic experiences and stuck in a state of anxiety has found that by taking CBD oil as a part of their daily diet has found it to be very relaxing for them and the cool thing is the benefits can be felt right away. CBD for stomach issues? CBD has also been known to be very helpful in calming an upset stomach. CBD oil and leaky gut? CBD oil has also been known for helping with leaky gut as it is very calming and relaxing to the bowel system all the way around as well as CBD oil can be very calming and relaxing to the entire physical body. This is amazing stuff as many have also reported increase in the metabolism. CBD oil can also be very helpful to you in sleep. Obviously if you’re going to calm and relax the body and calm and relax the nerves you are going to experience better sleep. We know that sleep is crucial for health, longevity, healing, and repair of the body and without sleep we find it hard to heal properly. So you can consider using CBD oil for sleep and improve your overall sleep experience. CBD oil can also be very helpful to increasing your mood and overall sense of well being. Many have reported that soon after taking CBD oil for mood they have felt that the brain fog has lifted and that their overall brain function has improved at incredible rates and find themselves in a better overall mood. Many of the degenerative brain issues, brain fog, all of the confused brain issue we often here about CBD oil can be very helpful in assisting us with. CBD oil is so awesome that it almost seems to good to be true because it can be so helpful to so many things in the human body. Many people say that they think it will be very common for people to take CBD oil just like they take many other vitamins that we know are so crucial for the human body. We are slowly discovering all of the many nutrients to be of value in the amazing hemp plant. There has been much proven research done on the endocannabinoid system. Well over 10,000 studies done on the endocannabinoid system. There is many research documents, white papers and presentations available for you to study. Much of this may not be main stream news but if you look for it you will find it. It is encouraged to do your own research and discover the many benefits of CBD yourself. Many of the benefits of hemp CBD oil have been documented through clinical research for you to study. 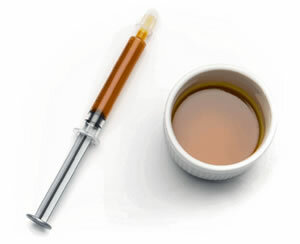 Many people have used CBD oil for withdrawal and use to assist them in getting off of heavy pain medications and have found it to be very helpful to reduce withdrawals and slowly find themselves getting off of the heavy pain medications as they do not have to deal with the addictive nature commonly experienced with heavy drugs. CBD oil can also be very protective of the body. CBD can help to protect your cellular system when you may be being poisoned or in heavy toxicity. CBD oil to protect the body from harmful radiation we may experience in our everyday lives and environment stresses. Hemp CBD oil may be helpful in rebuilding the bodies own cellular system for those who may have experienced cellular damage due to radiation and toxic electromagnetic exposure. CBD oil works on every part of your body and helps restore tissues and cell in every part of the human body. What’s great is it is also anti microbial. It works on pathogens. It has been reported that is helps with killing strep, staff infections and things of this nature. Many people with Lyme’s have reported amazing results. Many of these things have been horrific for people and thank God he gave us the tools to assist us with so many health problems we face in our society. It is up to us to start utilizing these powerful things we have available to us so that we may benefit. Is CBD oil beneficial to immune system? CBD oil can also help to control the immune system. If you think about in regards to inflammatory responses related to auto immune conditions. You have something like CBD oil that calms and relaxes the nerves and the nervous system. The immune responses that are happening that are leading to the auto immune issues that so many people have CBD oil may be hugely beneficial. CBD can be powerful to calming down the cellular system and allowing your body to naturally balance itself. So that your body can work the way it is naturally designed to work. Can CBD oil help fatigue and exhaustion? CBD oil can be very beneficial to help with fatigue and exhaustion as CBD oil can help the cortisol release from the adrenal’s. This is part of the reason why CBD oil can help to calm the nerves and calm the cellular system as it helps with the cortisol release. This is very important as people that suffer from being exhausted and adrenal fatigue can restore their energy levels in harmonious ways. CBD oil can help strengthen and make you feel better allowing you to have more energy. Balancing you and allow you to regulate your bodies overall systems making you feel great. Has CBD oil been evaluated by the FDA? Not trying to down on the party but just to let you know that any so called claims made here within this article or found elsewhere it is important to know that CBD oil has not been evaluated by the Food and Drug Administration aka FDA. Please see all disclaimers for reference. You are encouraged to do you own research and take a look at the clinical studies that are available to you for your research and we do not intend to associate any claims or benefit with any particular product, farmer or manufacture here. People that have experienced seizures have reported amazing results with CBD oil. CBD has helped them to regulate their seizures they have experienced allowing them to balance and get off of existing medications. Many have reported powerful results simply by using CBD in their daily diets. This has added to and enhanced one’s life experience. There is many clinical studies done in regards to CBD oil for seizures. So the usage of CBD? However you decide to use CBD oil the main thing is you just want to get it in your body and you can decide how to use CBD oil. You will just want to use whatever method that is going to work best for you in your daily lifestyle. There are many different CBD products available including capsules, tinctures, sub lingual’s, isolates and topical balms and salves. When using the tinctures adding a few drops under the tongue allows you to quickly absorb the CBD oil. This works very well when you require quick absorption. Many of the CBD Topical Salves simply work by rubbing on any troubled areas on your body you may have that are causing you problems. CBD isolates can be used to infuse CBD oil into your foods or beverages and often used to vape with. So there are many different ways to use CBD oil. What Dosage of CBD oil should I use? How to use CBD oil? As far as dosage goes you will have to find what works best for you. You can learn how to use CBD oil and determine your dosage level based on what you are trying to accomplish. We can not give you exact dosages and dosages may very from person to person. For general health studies have shown that 15mg twice daily is a general place to start. However we do not recommend any specific dosages. You can change you dosage based on your particular needs or conditions raising it or lowering it accordingly in the best possible way for you to achieve your desired outcomes. You may gauge your dosage based upon how you feel and double the amount as you need until you feel the desired result. You will have to find the dosage that works for you as everyone is different. Everyone’s need is different and may be more or less deficient in the need of the specific cannabinoid they require. Your illness or state of health may determine how much CBD you will need to benefit. Are there any known negative interactions with CBD while taking other medications? There is no known negative interactions with CBD while taking other medication that have been documented that CBD can have a negative effect or interaction with other pharmaceutical drugs, medications or prescriptions so this is very positive for everyone. 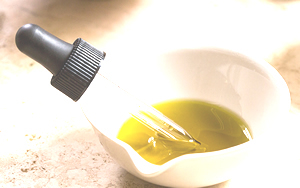 It is understood that CBD oil may be on the slightly expensive side as far as supplements go. CBD oil is a high end product cost wise. This is often do to the costs to grow, extract and bottle CBD oil. I can tell you though it is so worth it. I hope you can feel my excitement. I am sure you will be excited to when you learn how to use CBD to benefit your daily life. Meanwhile as you look around people are miserable and not finding the solutions they require while spending a fortune. Why not invest in something and invest in yourself and bring health, wellness and balance to your life. Focus on healing your human body. Please note that no company can claim any of the benefits mentioned here and discussed here as their product claims to do this or that, or solve this or that, or any of the benefits mentioned here in this article. And no claims have been made in regards to specific product claims here. The point of this article is to help you better understand and discuss the benefits of CBD oil that may be available for you to take advantage of. You will have to do your research and experiment and find the CBD oil that works best for you. Please share with us what has worked best for you and we would love to hear of your positive experiences in regards to using CBD oil as a part of your daily nutrition. The exciting thing about hemp CBD oil is that there has been so much fascinating clinical research done on how to use CBD oil and fantastic new research will continue in very positive ways as technology moves forward. As people have many positive experiences and can create benefits to enhance their life. Why not invest in yourself and be consistent in doing so. Thank you for taking the time to read this article and I wish you the very best in everything related to the many uses of CBD oil. Please visit our information page to learn more.